Canada, the boreal forests showing dark green. 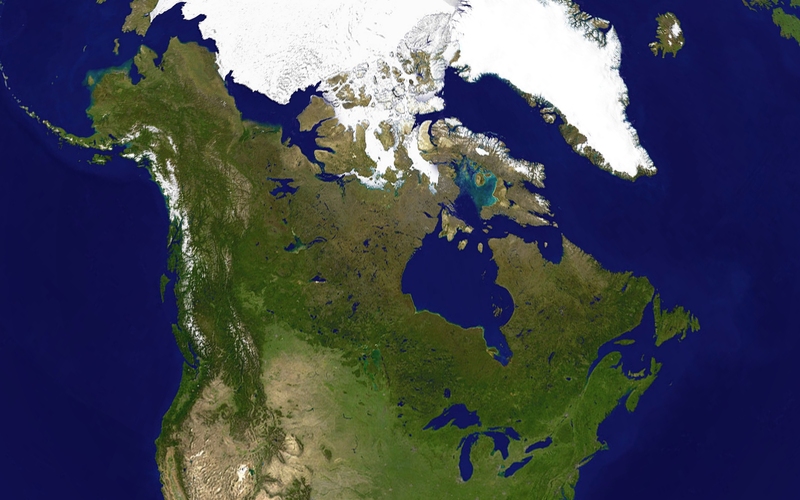 Much of Canada’s landmass is dominated by the boreal forest ecosystem. The characteristic tree species of the boreal biome are conifers such as pines, firs and spruces. 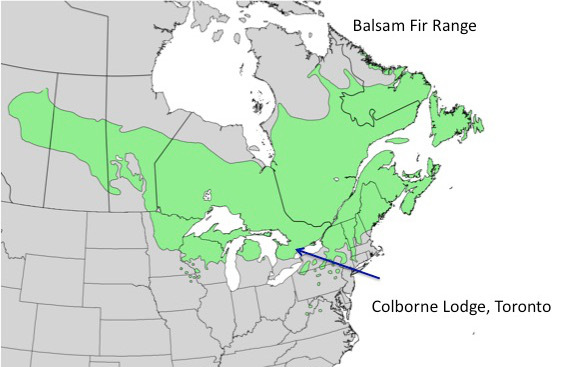 Another boreal evergreen species, white cedar, has a range that extends further south, and it ‘s common in the Great Lakes-St. Lawrence Region to the south of the boreal. In the United Kingdom, traditional Christmas greenery includes holly and ivy, but in Canada and the northeastern USA, balsam fir, eastern white cedar and red and white pine are very popular in Christmas decorations (below). Many Canadian homes have real, rather than fake greenery in them over the holiday season. In Canada, balsam fir (Abies balsamea), which also makes excellent wreaths, is one of the most popular species of Christmas tree. Lauren, who works at Toronto Parks’ historic Colborne Lodge, built in 1837 by John Howard, can be seen at far left, with a traditional balsam fir wreath on the front door, and left, inside with a balsam fir tree. Those are real candles on the tree, for which the decorative style is intended to evoke a Victorian Christmas. John Howard, one of Toronto’s first architects, engineers, and surveyors, acquired the land, which is now High Park, Toronto, and it was never actually farmed or built upon. His home, Colborne Lodge, a regency-style cottage, contains much of the original furniture that John Howard built. It’s open to the public and is decorated in Victorian holiday style for the seasons. My favourite fact about Colborne Lodge is that it had the first indoor toilet in the City of Toronto! 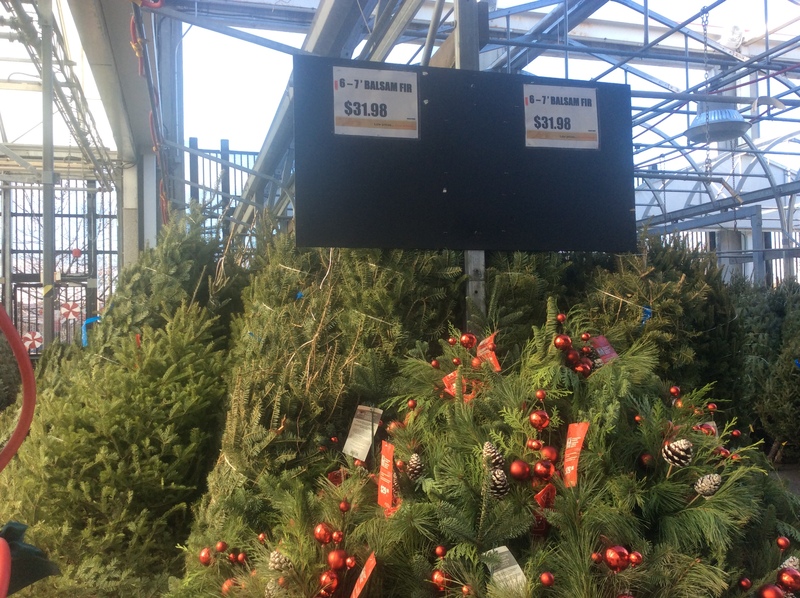 While cutting a tree from the local wood lot is still popular, these days, most trees are grown on Christmas tree farms. 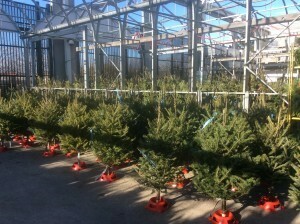 While you can buy them pre-cut, many families also head out to cut their own tree from a tree farm. On Twitter: @dawnbazely & @ColborneLodgeTO. This entry was posted in Advent, Herbarium RNG, Public Engagement with Science and tagged #advent2015, #AdventBotany, Balsam Fir, Canada Fir, Dawn Bazely. Bookmark the permalink.